The title character of Black Panther – the first Marvel superhero film with an African-American lead – has a lot of problems, but the most personal and likely the most important one is that he doesn't know how to lead his people. He wants to be a good king, but he doesn't actually know what that entails. Everyone around him has stances of their own – which inform the kind of ruler he becomes over the course of the film – but he's got to be the one to make the decisions at the end of the day. For superhero films, which usually tend to be light-hearted affairs in order to appeal to as broad a base as possible, the presence of such thoughtful ideas goes against the grain. But it's also what you should expect from director Ryan Coogler, whose previous features – the 2013 real-life-inspired Fruitvale Station about the shooting of an unarmed black man, and the 2015 Rocky spin-off Creed featuring the son of the Rocky's rival – explored social and identity issues on a similar level. Black Panther does have its comic-book moments for sure, but Coogler isn't happy with just delivering an action-packed romp, visually-stunning landscapes, and sleek costumes, interspersed with moments of laughter. He wants Black Panther to be more, to stand for something more. And that's why he keeps hitting the brakes whenever things start to get too superhero-y, and never in a bad way. It's when the film pauses that it gets the time to talk about what it really wants to talk about. Coogler wants the hero and the story to feel consequential, and it's also why Black Panther is different in tone from everything Marvel has been giving its fans recently. Where Guardians of the Galaxy Vol. 2, and Thor: Ragnarok pushed the envelope in coming close to being superhero parodies, Coogler is happy to step back from that trend. That's necessary considering what the film deals with – racism, colonialism, and isolationism among them – but that doesn't keep it from having fun. Set after the events of Captain America: Civil War, Black Panther sees T'Challa (Chadwick Boseman) returning home to Wakanda, where he'll be crowned king in the wake of his father's, T'Chaka (John Kani), death. The fictional East African kingdom is a highly secretive nation, disguising itself as a primarily agrarian economy to the outside world to hide the real truth: it's our planet's only source of vibranium, a fictional metal that has allowed Wakanda to become highly advanced technologically, from Black Panther's terrific suit to magnetically-levitated trains that zip through the capital. 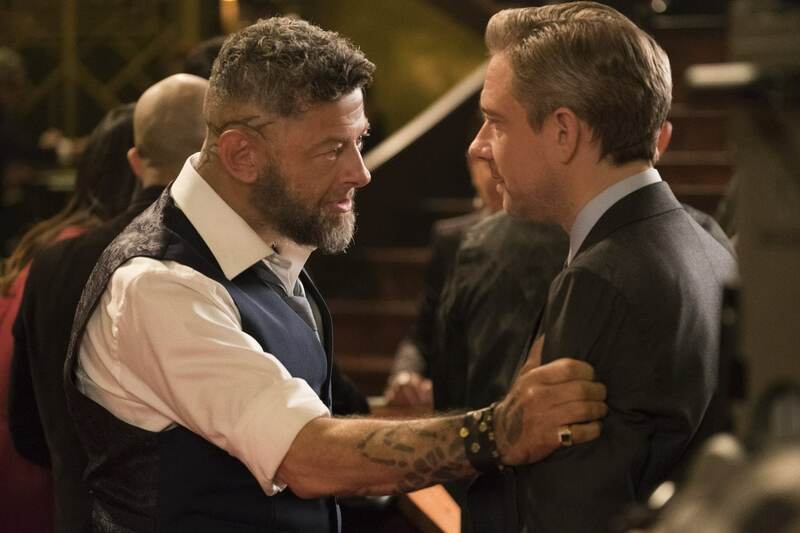 All Wakandan kings have kept up that ruse throughout history, but that façade is threatened by black-market arms dealer Ulysses Klaue (Andy Serkis, in one of his rare roles that isn't via motion capture), who had a brief appearance in Avengers: Age of Ultron. With help from Erik 'Killmonger' Stevens (Michael B. Jordan, who worked with Coogler on both Fruitvale Station, and Creed), a MIT-educated US black-ops soldier who's got a big interest in everything Wakanda, Klaue steals an ancient artefact that's made of vibranium, which attracts the interest of T'Challa. 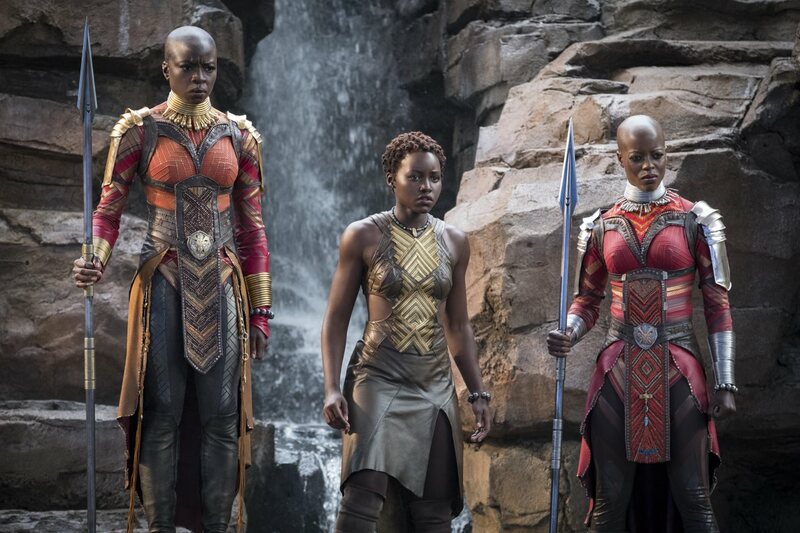 After getting word of Klaue setting up a buyer in Korea, the new king of Wakanda sets out with the leader of his special forces - the Dora Milaje - Okoye (Danai Gurira), and with his former lover and a spy, Nakia (Lupita Nyong'o). 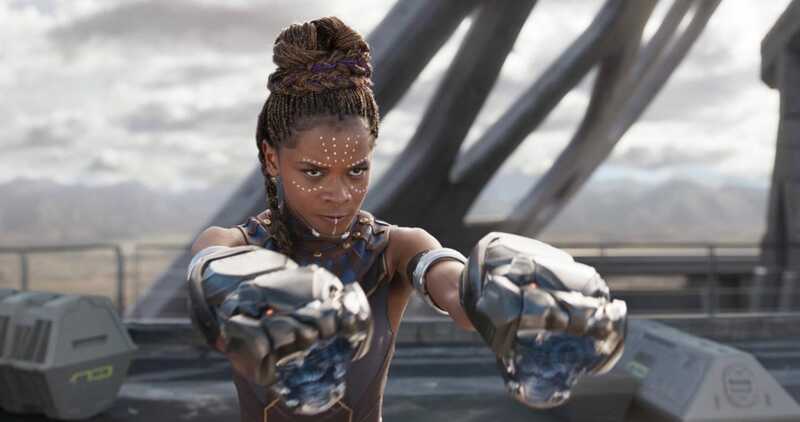 T'Challa's younger sister, Shuri (Letitia Wright), wonders if it's a good idea to take an ex on a mission, and she continues to be the film's biggest comedic output throughout, apart from her role as the in-house technology expert. Think of her as James Bond's Q, with a more hands-on approach. In one memorable gimmick, Shuri drives a car across the streets of Busan while sitting in a vibranium chair and augmented-reality cockpit back home in Wakanda, though it's slightly marred by the fact that it's also a car product placement. The action scenes in Korea, especially the one shot in a lavish casino, are also the most high-concept and noticeable work of cinematographer Rachel Morrison – another previous collaborator of Coogler's, on Fruitvale Station – as she moves the camera both horizontally and vertically, all in a single long take. In other places, the action gets a boost from rampaging rhinos with vibranium armour, or when Black Panther is stripped of his powers, inevitably raising the stakes by making him vulnerable. The film's true strength lies, however, in the efforts of Coogler and his co-writer Joe Robert Cole (American Crime Story) in humanising its super-powered lead, T'Challa, who's filled with doubt and deeply conflicted. The changing times means he must take a more critical look at Wakandan traditions, but he's unsure what the international exposure will mean for his people. Boseman plays him as a measured man who's constantly fighting internally – Coogler has spoken about how identity issues were at the forefront when writing the film – but that's not easy to translate on screen. That means it's those around him who get to shine more, be it Gurira's fearless Okoye showing all aspects of her fight training, Serkis' cocky portrayal of Klaue making him a firecracker in his short role, Wright turning Shuri into a scene-stealer with her sarcasm and liveliness, and veterans such as Forest Whitaker (Rogue One) lending a sense of gravitas to the proceedings. Despite everyone's impressive work, Michael B. Jordan is a standout. As Killmonger, he oozes bucket loads of charisma and swagger, and thanks to the script, which gives him a relatable and emotionally tragic backstory, he's able to add layers to his character that most Marvel villains severely lack. Having lived most of his life in America, where he's witnessed people who look like him beaten down in every way, he blames Wakanda for not playing a bigger role, given the limitless power in its hands. The argument proves to be convincing even for some in Black Panther's closest circle, and it further bites into the questions and thorny issues that the film keeps getting at. When you've got the means to help others, and you close yourself in the name of protection, is that justified? Black Panther probes that in more ways than one right from the start, through the actions of T'Chaka, and Nakia, who's been away for years to help people who aren't as lucky as those in Wakanda. Black Panther is also smart enough to know there are no answers, and puts T'Challa – and the people of Wakanda – through the wringer to figure out the role of a well-off advanced nation ruled by a monarch that has historically preferred to look inward. But this is also where the film feels at its weakest, since it repeatedly side-steps the concept of monarchy itself, along with the emphasis on physical mettle in becoming the king of Wakanda. A crucial part of Wakandan culture and rules of succession is ritual combat, whereby any Wakandan gets the chance to challenge the prince, in which the Black Panther is drained of his powers to prevent any unfair advantages. Black Panther does get a chance to poke fun at the ridiculousness of putting all power in the hands of one individual who's proved his worth, but it doesn't have the time to discuss and address these topics in a suitable way. All the other moving elements are so effective though, that this is a minor disappointment that most wouldn't even notice. Black Panther both looks and feels different from anything we've seen and heard in frankly most movies made in Hollywood. And that's owing to its embrace and reliance on African culture and instruments, which makes the film instantly recognisable. If there was a tendency for Marvel movies to come from a cookie-cutter approach visually and aurally, then Black Panther puts a brief pause on that disappointment, though it's unlikely to last long with Avengers: Infinity War on the horizon. It's strange that it's taken this long for Marvel to release an all-black superhero film (and it'll be yet another year before we get Marvel's first female-led film; DC is much better in that regard) and hopefully the predicted box office revenue for Black Panther will quell studio executive's fears that films with people of colour in the lead are not a financial risk, and that there are more audiences out there whose wait to see someone who looks like them take the superhero mantle, still continues. Black Panther is a terrific success on its own, one that avoids the Marvel trap of unmemorable villains and generic soundtrack, and the superhero trope of sexualising female warriors. It tells a compelling story filled with three-dimensional characters, and in essence, packages an indie film with blockbuster wrapping. Coogler knows fully too well the reach of something like Black Panther, and he uses the Marvel canvas to paint a bigger – but more importantly, a powerful – picture. Black Panther releases February 16 in India. There are two sequences during the credits, stay in your seat till the end. 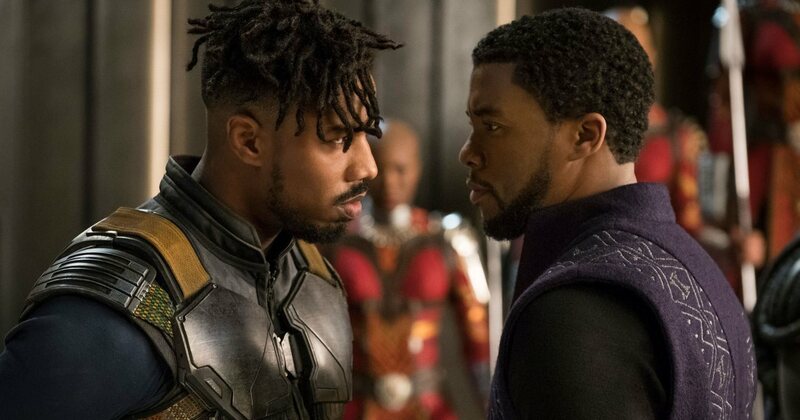 product Ryan Coogler directs the first Marvel black superhero film, starring Chadwick Boseman and Michael B. Jordan, which turns out to be an all-out winner. Here’s our Black Panther review.